This Pfister Pfirst Family of products includes a full-line-up of bathroom accessories for your entire home. With a reasonable price point, this collection of Pfister products come with a Lifetime Warranty, and simple, but yet high end design. The warranty covers the function of the valves, for the life of the product. Superior aesthetic and great value...that's what the Pfirst Series is all about. 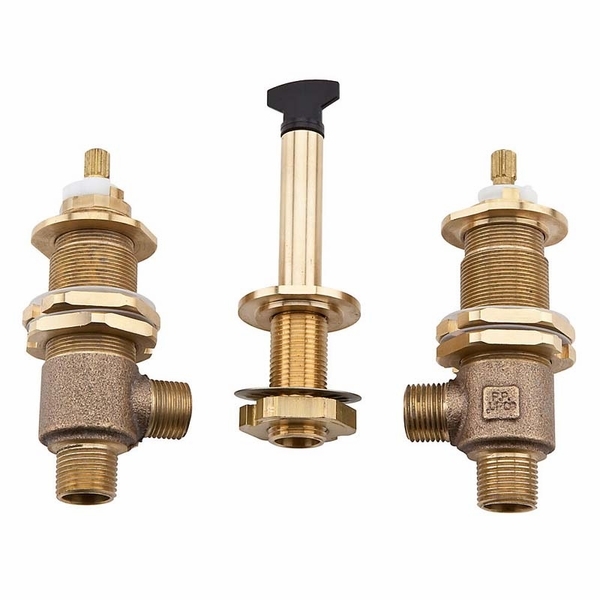 Pfister Pfirst Roman Tub Rough-In Valves comes in polished chrome with a 3-hole flexible installation option and reversible hot and cold options. Allow the Pfister Pfirst Collection to help create the design the shower and bathtub combination you have always wanted.